The autumn in Tohoku region is beautiful. This is one of the best areas offered by Japan to view the beautiful autumn leaves. Let us introduce you some of the must-see autumn-leaf viewing spots. 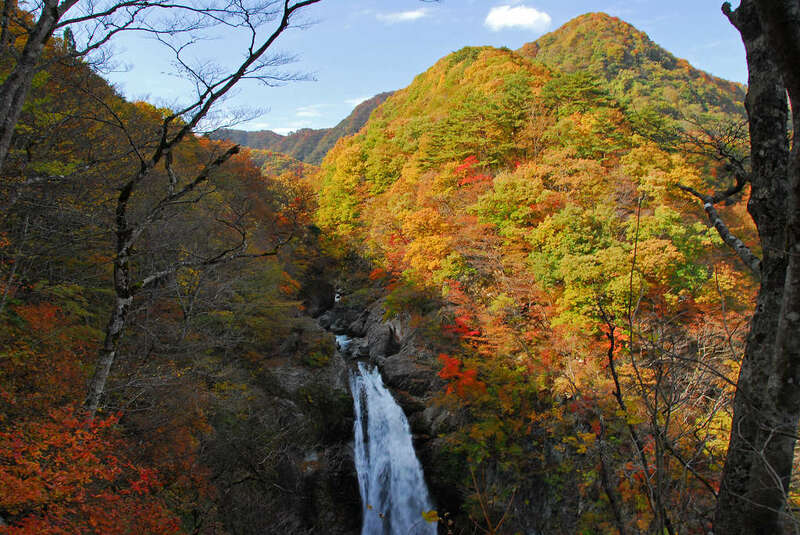 The best autumn-leaf viewing seasons for Naruko-kyo Gorge is from the mid-October to the beginning of November. 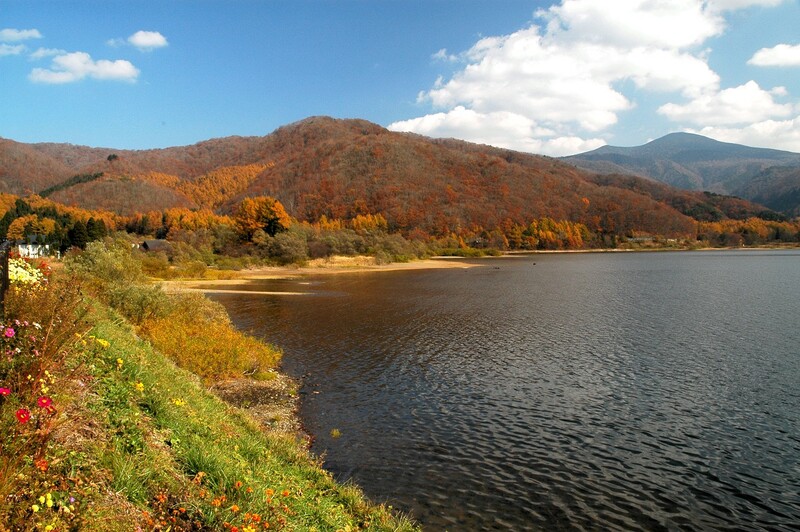 You can enjoy the view of beautiful autumn leaves as the vast gorge is dressed in red and yellow. The view from Miharashi-dai is picturesque as you can see some oddly-shaped rocks and greens in addition to the beautiful red and yellow leaves. Mt. Kurikoma-yama offers great enjoyments for each of the four seasons, including mountain climbing in the summer, and onsen in the winter. The mountain offers another great enjoyment in the autumn in where you can enjoy the beautiful autumn leaves while climbing. The view that resembles the huge red carpet is breathtaking that you should want to see it at least once in your own eyes. In Marumori-machi, which is situated on the north of the Abukuma Mountains, you can enjoy the Abukuma Line boats. This place offers you the lush greens in the summer, while you can enjoy the autumn leaves in the autumn. You are pretty much guaranteed to have a great time if you view the autumn leaves from the boat while you are taking the gentle breeze from the river. You can enjoy Imoni, the local specialty on the boat. Akiu Otaki Falls, one of the three greatest waterfalls, is formed by Natorigawa River whose dynamic stream flowing through the steep gorge from its source, the Ou Mountains. The contrast between the white from the waterfall and the autumn leaves on the trees surrounding the waterfall is marvelous. Choroko Lake is 2km (1.24mi) in its circumference, and located at 500m (1640ft) above sea level. The lake has blue and clear water, and the contrast between the red and yellow from the autumn leaves and the scenery of Mt. Fubozan which rises in the front. The reflection of autumn leaves is also superb. The best time for autumn-leaf viewing is at around the end of October. There is Lake Hibara nearby, which is a lake formed when a river was blocked by volcanic mud from eruption of Mt, Bandai, and its circumference of 38km (23.6mi) is surrounded by splendid autumn leaves. Shidare Momiji – the weeping maple trees- in Nakakamado has been designated as a national natural treasure. These maple trees are planted within the site of Kannon-do Temple. These weeping maple trees, small one and large one intertwined together is a must-see attraction, as they are precious in terms of plant morphology and plant genetics. Oze National Park, which extends to four prefectures – Gunma, Fukushima, Niigata and Tochigi, is another great autumn-leaf viewing destinations where you can fully enjoy the great Mother Nature. The vast nature extends in front of your very eyes, and this is the place you can call it as a land of natural wonders. You can view beautiful autumn leaves in the autumn when the trees are dressed in beautiful colors. The 29km (18mi)-long Bandai-Azuma Skyline attracts many tourists as one of the great spots for autumn-leaf viewing each year. The view from “Azuma Hakkei (8 great scenic spots of Azuma)”, in particular, which were selected by a renowned writer, Yasushi Inoue, are recommended. You can also enjoy the tour of onsens as there are onsens around this area. At Goshiki-numa nature trail, you can enjoy viewing the autumn leaves from oomomiji maples, Japanese maples, and Japanese sumac. By living up to their names, Goshiki-numa ponds are consist of several ponds including Bishamon-numa, Aka-numa, Midoro-numa, Benten-numa, Ruri-numa, and Ao-numa. For that reason, they are one of the great tourist attractions where you can enjoy the ponds with various shades of blue. There are so many autumn-leaf viewing spots in Miyagi and Fukukshima. We hope you can go visit as much those spots as possible.